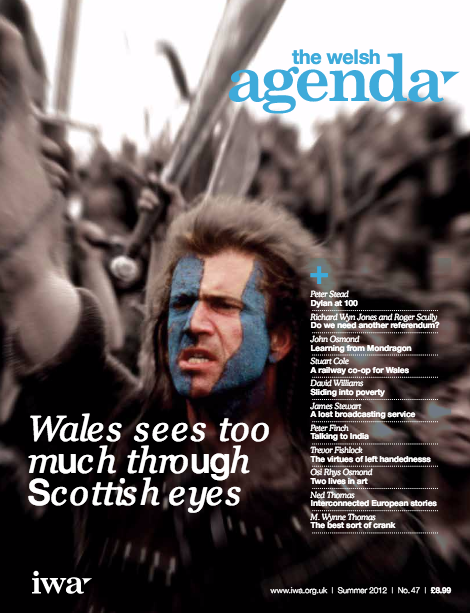 ‘the welsh agenda’ is published twice a year and is one of Wales’ leading current affairs magazines. 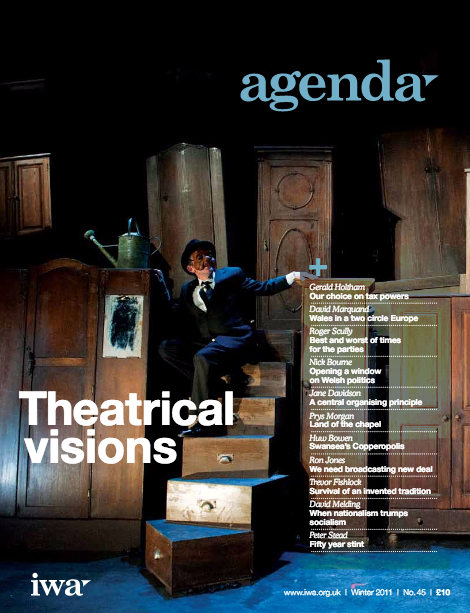 IWA Members have free access to the whole of our archive, however non members will be charged for the latest issues. If you would like to join the IWA, please visit our Support Us pages. 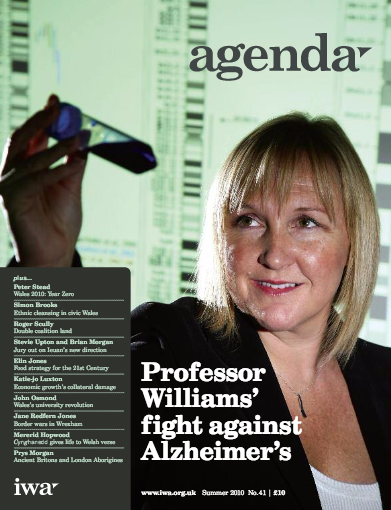 Wales is on the road to creating a better business environment. Julian Tudor Hart on the Welsh NHS alternative. How four politicians affected Wales’ relationship with Europe. How to get the Welsh language to fit the modern era. 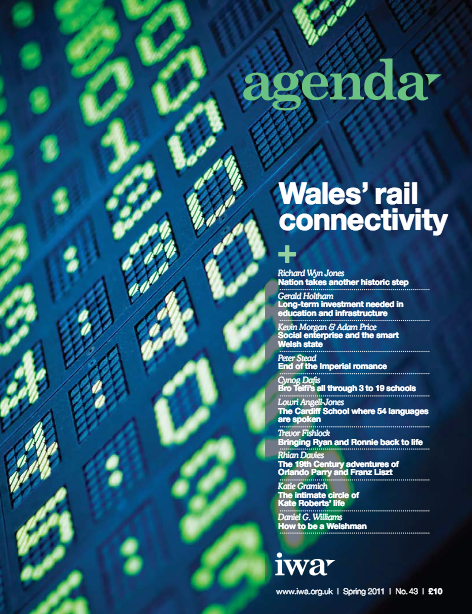 An account on physical-force Welsh Nationalism: a radical solution to the Welsh air connectivity deficit. Also John Osmond talks about the battle for devolution. Looking back at the life of the poet Tony Conran. Mererid Hopwood reveals what we can learn from our National Anthem. Steve Morris explores the idea of creating space for Welsh-speaking communities. And the effect that financial pressures will put on the quality of our hospitals. Walter May on an all Wales strategy for business growth. A look into the GE aircraft maintenance plant, one of Wales’ most successful enterprises. Issues with language and literacy in Welsh schools. Also, Stuart Coles and the concerns over the ownership and control of our railway network. Giving a progress update on the implementation of the Welsh Medium education strategy. Advice on how adolescence can overcome emotional and psychological problems. History may be repeating itself, Gethin Matthews explores the dilemmas of our nation’s past. The number of Welsh speakers is dwindling and Hywel Jones explains how, and Cardiff’s new museum raises controversial issues. 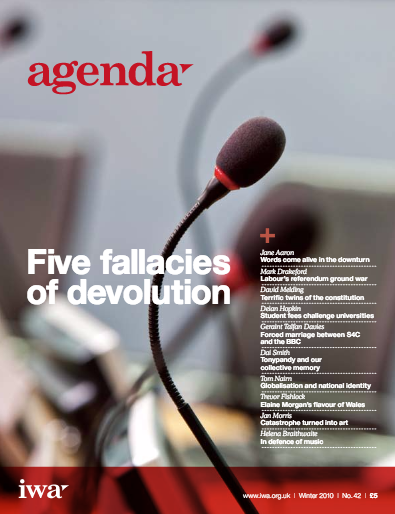 How have the Welsh Conservatives come to terms with devolution? Nick Burns queries. David Craddock talk about the £40 million project that will provide Wales with a world-class super computing network. 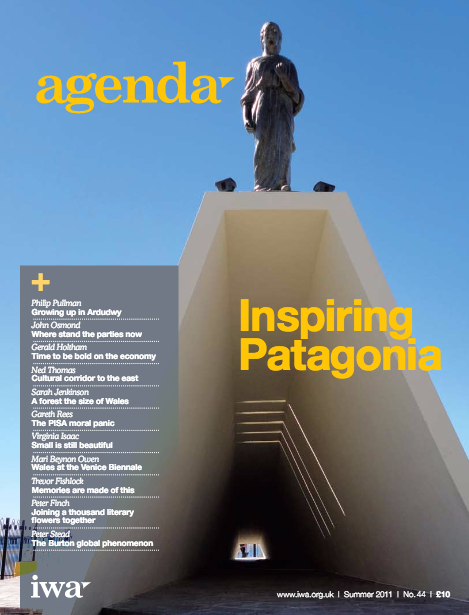 And Cynog Dafis speaks fondly about the growing connections between Wales and Patagonia. Dafydd Glyn Jones responds to Education Minister’s harsh words on Welsh Universities and Richard Wyn Jones talks about the 2011 Referendum. 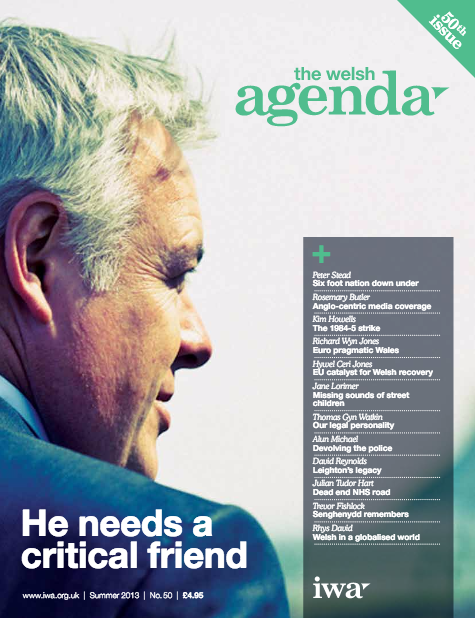 Also in this issue: Could the Welsh Government revolutionise the delivery of key public services? Carwyn’s referendum opportunity and Deian Hopkin suggests the tuition fees change in England presents an opportunity to do things differently in Wales. 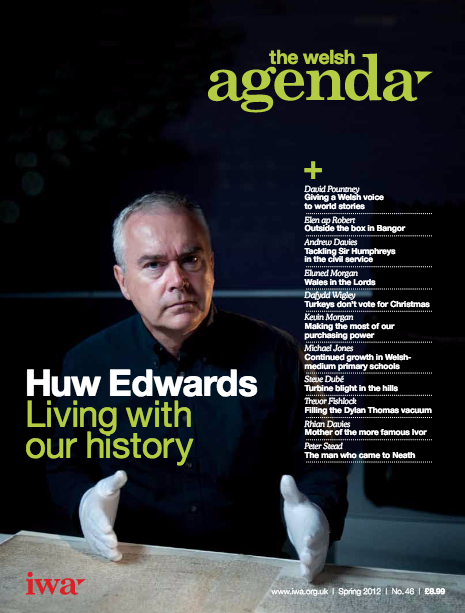 A groundbreaking article by cultural historian Peter Stead suggests that for Wales 2010 is Year Zero, the real start of the 21st Century. 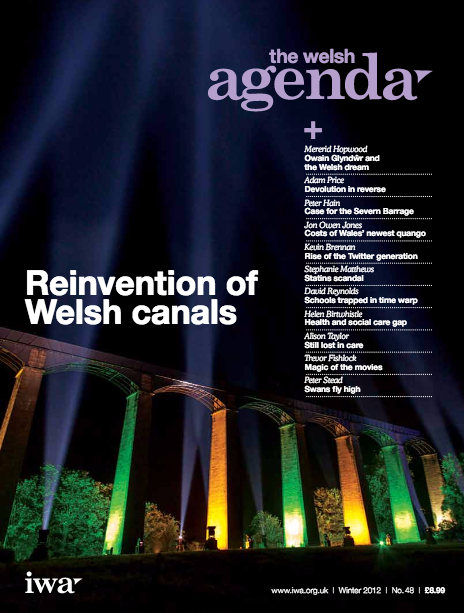 The journal surveys a number of areas of policy divergence between Westminster and Cardiff Bay, including the funding of social care and running our railways. 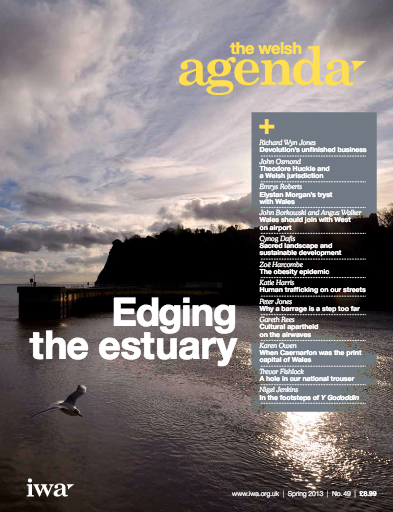 Other special features examine the place of north east Wales and the Welsh food economy.